Legal guidance in business affairs. Estate planning for Wills & Trusts. Williams Law Group, PLC stresses results, and our clients in Northwest Arkansas rightfully expect them. With that in mind, our attorneys combine innovative, pragmatic strategies with old-fashioned hard work. We recognize that our success is driven by client satisfaction. TheWilliams Law Group, PLC addresses each client’s unique story – including their changing needs and broader goals. Our Northwest Arkansas attorneys are committed to responding to telephone calls promptly, to reporting on cases regularly, and to minimizing and eliminating risk to our clients by informing them of significant changes in the law. Our lawyers work with our clients to develop mutually beneficial alternatives to the standard hourly rate system. Williams Law Group, PLC bases our commitment to client service on an intimate knowledge of each client’s needs and objectives. Our attorneys seek long-term partnering relationships with clients – providing the best total solution to multi-disciplined and industry-specific legal service needs. If you need a lawyer in the greater Rogers and Bentonville area, drop by our office or give us a call and we promise you will get help from one of the best attorneys available in Northwest Arkansas. Contact us today at 479-633-8421 or by visiting our contact page and let us get to work and deliver the results you deserve. Located in Rogers, Arkansas, the Williams Law Group, PLC serves all of Northwest Arkansas. We focus on commercial and civil litigation, business organization, estate planning and personal injury. This level of specialization ensures that our clients deal with attorneys who have specific expertise. Many clients come to us to create wills and depend on us to ensure that their will becomes probate at the correct time. We are also occasionally contracted to organize temporary arrangements that might include establishing bankruptcies for clients, setting up powers of attorney and creating trust funds for loved ones. At Williams Law Group, PLC, we can help with draft rental contracts, business contracts or staff contracts for companies. If a company is sold or merged with another company, a lawyer can draft the necessary paperwork to validate the sale, and organize asset transference in an orderly manner. We will get everything done in a way that adheres to the appropriate rules so that there will be minimal issues with the legality of these transactions. Similarly, someone searching for a personal injury attorney might not be considering social security disability, when their injury occurs. We provide a broad range of legal guidance to satisfy the needs of existing and new clients alike. We aim to be a reliable point of call, regardless of what life throws at you. We also represent families, who are grieving the wrongful deaths of loved ones. We appreciate that, during a period of mourning, it is hard to focus on anything apart from your pain. This is why, as a reputable legal practice, we will deal with every aspect of your case, from the first investigation of your claim to estate administration, if required. The Williams Law Group, PLC is a results orientated law firm, and this is what our Northwest Arkansas clients have rightfully come to expect. In light of this, our attorneys mix trusty hard work with practical, creative methods. We acknowledge that our success depends on the satisfaction of our clients. Our pragmatic ethos, along with the extensive hands-on experience of our attorneys, enables us to provide solutions to virtually all legal disputes. 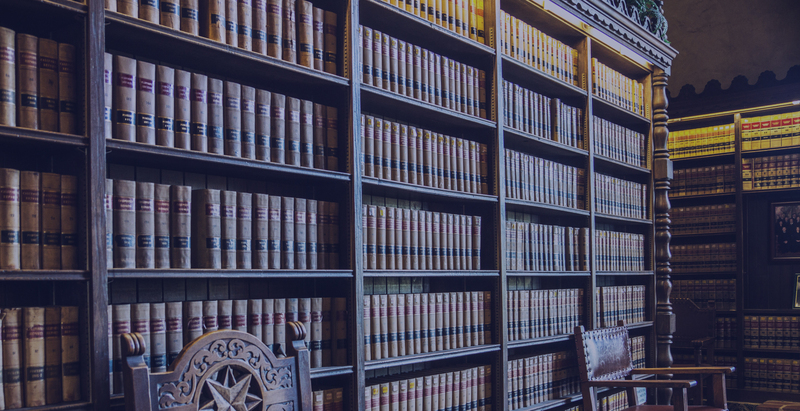 Our attorneys present the cases of their clients to the justice system, in a manner that facilitates the most desirable resolution possible, under the existing law. We regard our clients as long-term partners. As such, we seek to deliver the best available outcomes in industry specific and multi-disciplined courtroom battles. The Williams Law Group, PLC tailors its approach to the unique circumstances of each client ˗ encompassing their wider aims and evolving requirements. Our dedication to client service is based on a detailed knowledge of every client’s predicament. Coupled with our unparalleled legal expertise, the chance for justice and equity to triumph is greatly improved. The lawyers in our Northwest Arkansas office always respond to phone calls quickly, and provide case reports on a regular basis. We reduce or eliminate the risks our clients face, by keeping them informed about important changes to the law. Our attorneys consult with their clients directly, to agree on a suitable fee structure, if the normal hourly rate system is impractical. The dependable legal guidance and customized representation at Williams Law Group, PLC, help you to recapture a feeling of control over your situation. We will make sure that every transaction performed, whether business related or personal, is processed in a way that is fully compliant with the governing laws. All transactions we arrange will be regarded as binding and proper. At the same time, we will work to make sure that your best interests, and the intent and letter of the law, is respected and observed. If you require an attorney in the Rogers area, visit our office or get in touch by telephone. We assure you that you will receive assistance from some of the leading attorneys in Northwest Arkansas. Hiring the Williams Law Group, PLC attorneys will partner you with innovative, hard working attorneys, who are committed to fighting your case. Our dedication to ongoing and upfront communication with clients coexists with our track record of delivering successful outcomes. Call us today on 479-633-8421, or visit our contact page, so that we can start working and produce the results you desire. Our attentive, approachable and friendly attorneys are waiting to tackle your legal problems head on.